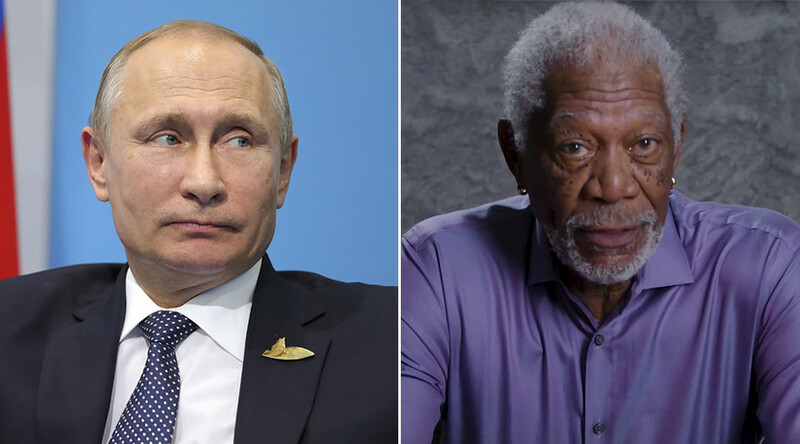 Hollywood actor Morgan Freeman’s two-minute video he filmed for the non-profit 'Committee to Investigate Russia' (CIR), claiming that Moscow meddled in the US election, can hardly be taken seriously, the Kremlin said. “This eventually fades away,” the spokesman continued. Maria Zakharova, the spokesperson for the Russian Foreign Ministry, said she believed that Freeman’s role in the clip is similar to that of former US Secretary of State Colin Powell. During a UN Security Council session in 2003, Powell infamously used a model of a vial, which, he said, was similar to those used by Saddam Hussein’s government to store biological weapons. The claim was proven false when no weapons of mass destruction were found in Iraq by invading US forces. “We’ll find out who stands behind this story faster than we learned about the contents of the vial,” Zakharova said in Facebook post. She also cited the recent CNN story confirming that Paul Manafort, former chief of staff of the Trump election campaign, had been subjected to surveillance both before and after the election. “Do you see Russia’s role here? Right – to legitimize illegal actions. Without this external factor it would be a new Watergate, but with this ‘foreign meddling’ the story was sent along the alley of national security,” she said. Freeman, who once lent his voice to Hillary Clinton’s presidential campaign, also provided voiceovers for several commercials, including for USA CORPS, Save the Children's "Be a Mentor" program, Visa card and Turkish Airlines. It is perhaps unsurprising, then, that the 'Committee to Investigate Russia' (CIR) decided to attract attention to its anti-Russian campaign by turning to the Oscar winner. ‘The Shawshank Redemption’ star says in the video that Russian President Vladimir Putin, "a former KGB spy, angry at the collapse of his motherland, plots a course for revenge.” Freeman says Putin established an "authoritarian regime" and set his sights on his "sworn enemy" – the United States. Freeman then accuses Putin of using cyberwarfare to "attack democracies around the world." In particular, Freeman says the Russian leader used social media to "spread propaganda and false information" and convince people in democratic societies to "distrust their media, their political processes, even their neighbors." Freeman is not the first actor to promote the anti-Russian campaign. Actor-director Rob Reiner joined up with David Frum – the Atlantic's senior editor and a former adviser to George W. Bush – and former National Intelligence director James Clapper, among others, to launch the non-profit CIR. Clapper had previously said there was no evidence of Russian interference in the election, though he later changed his story. No evidence of Russia’s alleged hacking of the US elections has been presented. 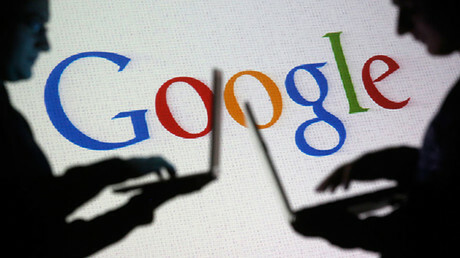 Google said earlier in September that it had failed to unearth any facts that would implicate Moscow in exploiting its advertising tools to manipulate the election.